As per the reports, the show is going to pick up as it releases and people will want to watch all the 10 episodes as soon as possible. Thus, the show will trend and be keep the high pace throughout. It was launched at around 3 am EDT on the streaming service. 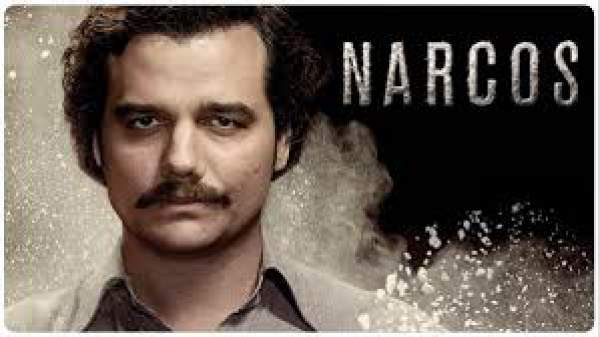 The last episode of season 1 of the TV series witnessed DEA agents Murphy (Boyd Holbrook) and Pena (Pedro Pascal) showing publicly the photos which get from the living quarters of Pablo Escobar (Wagner Moura) in prison. The general public got enraged when they got to know the way of treatment of the drug kingpin behind bars. Moreover, two people were also killed inside the facility. It seemed that it was going the opposite which Murphy and Pena were trying to achieve at the end. However, this was exactly what they wanted to do and as per their plan. This forced the police to get a probe inside the matter. In the meantime, DEA suspended the agents for leaking the pictures. The issue gets more solid as the two get back to their houses. A group of fans assumed to the fans of Escobar kidnaps Murphy. Then, Murphy’s wife Connie (Joanna Christie) informed Pena about the same. After that, both got ready to face the worst. Pena didn’t panic rather set out to search his partner. The authorities want to catch Escobar at the earliest. However, he received somewhat good news as he saw Moncada (Christina Tappan) and Galeano (Orlando Valenzuela) on the first page of the newspaper. He gets a little worried, but at the same time, was sure that he had already covered his tracks. Later on, the army comes and take Escobar from the prison to its own custody. Gaviria (Raul Mendez) made a plan to make them lie to say that they have received internal information that his life is in danger. The plan was to move him to another prison and to renovate the one in which he was originally kept in. The orders didn’t get translated properly and fail. The Minister of Justice Sandoval (Manolo Cardona) came to the prison and saw Gaviria’s men outside the venue. Then, he tried to do things by himself. He assured all of them all will be okay, and Escobar won’t kill anyone in such a high position. Meanwhile, Pena is searching for Murphy. He contacted CIA as well as civilians but in vain. Finally, he got to know that Murphy is alive via authorities. Pancho and the Cali cartel took him to talk to him to take information regarding the previous crime. Previous articleKumkum Bhagya 1st September 2016: Aaliya spying on Pragya?